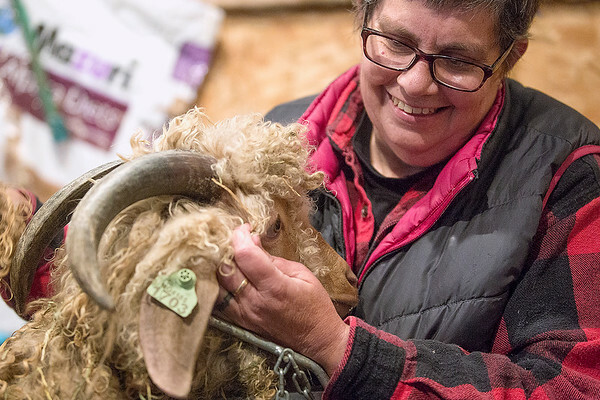 Demarie Jones holds onto Harley, an Angora goat, while he is sheared in her barn outside Omena. Jones started keeping animals after her husband died in 2015. She has since opened her own yarn shop and plans to sell yarn spun from her animals.